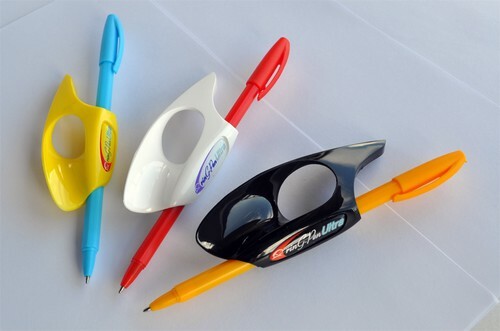 The Ring Pen Ultra is the latest assistive writing device with the unique feature of allowing the user to select the pen or pencil of their choice based on their writing or project need. Change from pen to pencil in a snap. The patented "Ring Pen" technology helps individuals with arthritis, carpel tunnel syndrome, poor fine motor skills or trauma to the hand, fingers and wrist write with more comfort and less strain. Regain control of your writing and painting. A very helpful product to student in special education classes that struggle with a conventional pen or pencil.